<firstimage=”//static.makeuseof.com/wp-content/uploads/2010/07/00-Comic-books-app.jpg”> I’ve always preferred to read comic books than novels. Maybe it’s the hot babes in tight suits with super powers, maybe it’s the dream of being able to fly, or maybe it’s simply the appreciation of great stories behind excellent graphic art. Illustrated stories captivate me more than plain text ones. But I’m also more of a traditional reader who prefers the paper version of comic books than the digital version. One of the main reasons is because traditional comic books are easier to carry around and read than the digital version on laptops. I don’t even consider the possibilities of reading comic books on mobile phone screens. While it’s definitely easy to carry around, and the only limit to how many books that one can carry is the storage size; the thought of having to continuously re-size the pages tells me it just not worth the trouble. Boy how I was wrong. 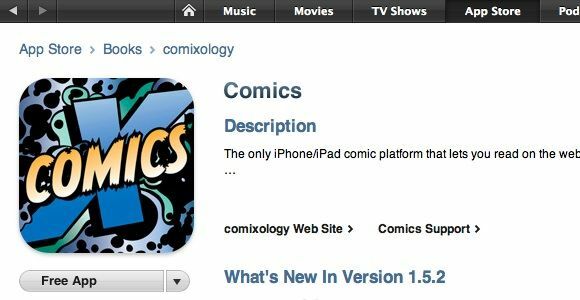 I stumbled onto an iPhone app called Comics by comiXology. Out of curiosity, I downloaded the app. 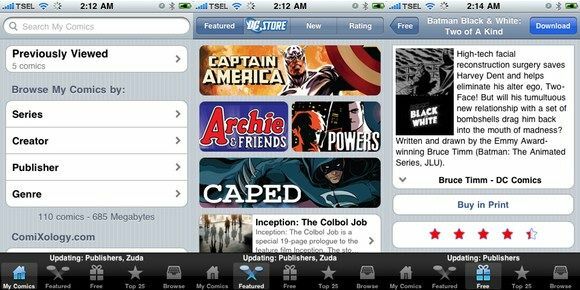 The page description says that this app solves the problem of reading comics on a small screen. 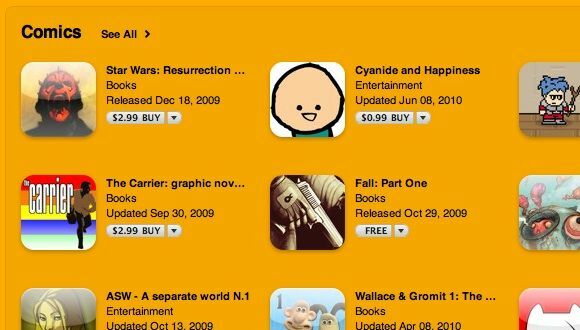 The app is an iPhone comics reader and store, similar to what Apple does to ebooks with its iBooks. You can browse your (already downloaded) comics, see the featured titles, or browse and download comics based on the categories. Just like your friendly neighborhood comic retail stores, you can find comics from various publishers. 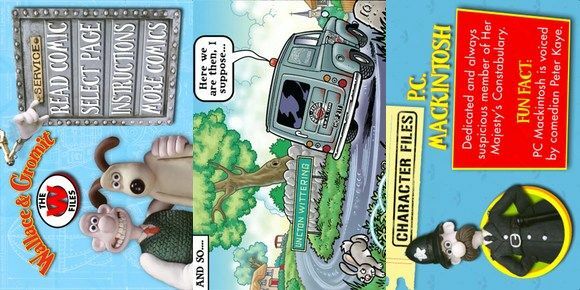 For those who would like to test the water before jumping in, there are lots of free iPhone comics that you can download from the store. Just tap on the “Free” section. But registration is needed prior to downloading. And what about the reading experience itself? Comics uses a page displaying method called “Guided View Technology”, which will show the comic art panel by panel instead of page by page. The flow of the panels is synchronized with the flow of the story. You can rotate the screen following the orientation of the panel to get the optimal size of the panel. You can also pinch to zoom to get a larger image. 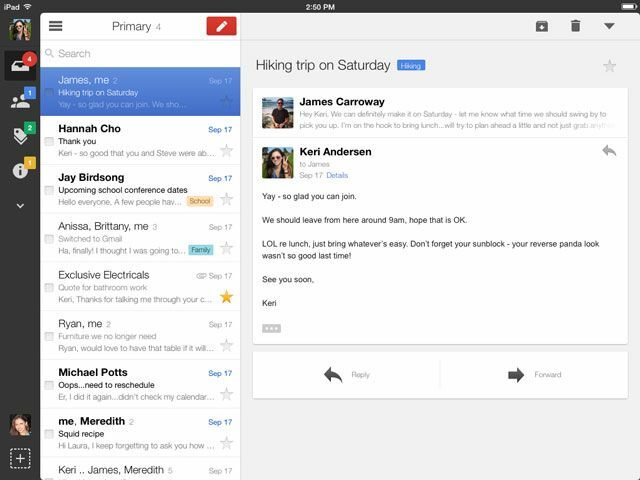 To go to the next panel, tap on the right of the screen, and tap left to go back. Contrary to my initial opinion, reading a comic on the small screen doesn’t have to be inconvenient. 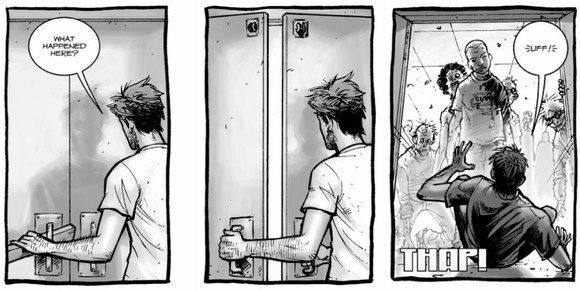 I actually like the guided panel-by-panel approach as it gives me surprises along the way. Addicted, I went back to the iTunes Store to find out more. 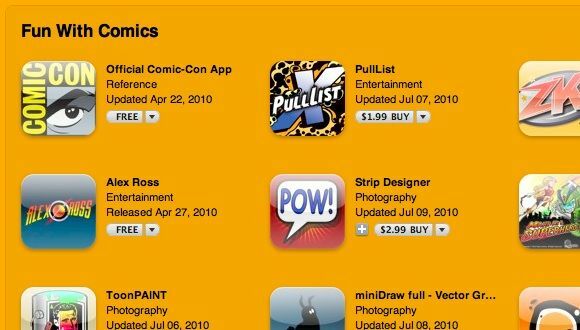 Lucky for me, the store currently has a spotlight on iPhone comic apps. They are classified into three types : Comic Readers, Books, and Other comic-related materials. Readers are similar to Comics, they are something like bookshelves where you can put your comic collections. 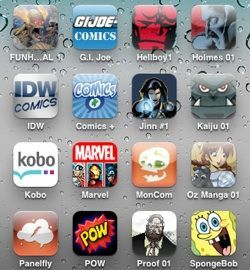 Other than Comics – and other retail store type of apps, there are also apps from major publishers who specialize with their own comics. 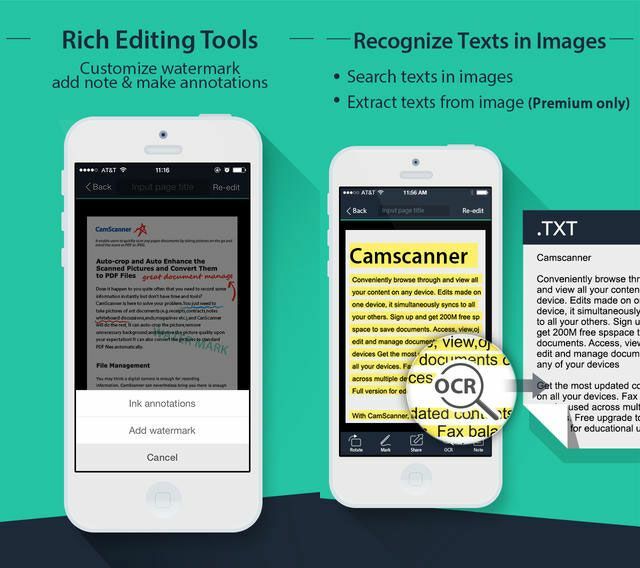 The second type is comic books which have been converted into individual apps. Just like other iPhone apps, you can download these types of books directly from iTunes and they will be installed onto your iPhone when you sync it. If you read comic books a lot, you will know that they are not only for children. There are also comics for adults with violence, red-penciled words, and other stuff that are inappropriate for little children. That’s why iTunes will give you this warning every time you are about to download age-restricted materials. Most individual iPhone comic books also display their stories panel by panel, but in a more simpler way than Comics. The last type is comic related materials that will brighten the day of most comic maniacs. 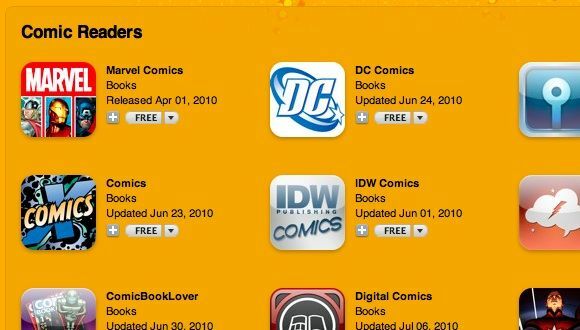 So if you love comic books, your iPhone could turn into a very addictive toy. Just a short visit to the iTunes Store and I ended up with a lot of comic-related apps to play with, and lots of comic books to read (and I’m still limiting myself to the free stuff). 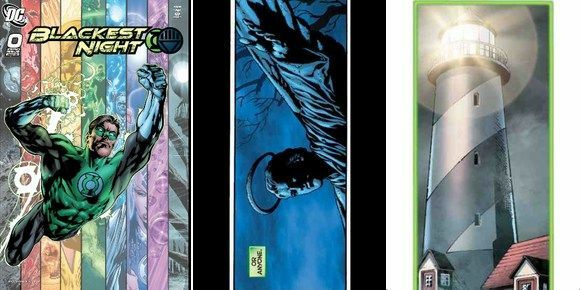 Do you read iPhone comic books? Can you recommend other apps similar to Comics? You can share your comic experiences using the comments section below. And don’t forget to check out other articles on MakeUseOf about finding and reading digital comic books, or manga.